You can order online below, or call 800-351-6299 to order by phone. All software is digital delivery only, after order is processed we will contact you with download / installation instructions. RTO Pro for Windows (XP and NEWER) Single User Subscription (For use on 1 computer) $75.00 a month $75.00. Buy Now! RTO Pro for Windows (XP and NEWER) Network Version Site Subscription (Unlimited computers at 1 location for 1 company / store) $120.00 a month $120.00 Buy Now! 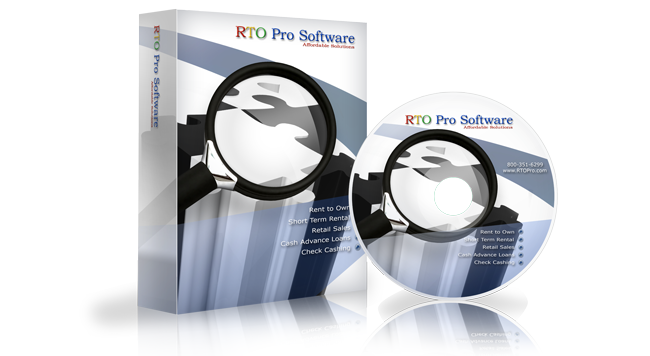 RTO Pro for Windows (XP and NEWER) Central Server Edition Subscription (Run multiple companies or stores from one server/database with unlimited computers/ clients accessing each company/location) This price is per Company / Store / Location. $120.00 a month. $120.00 Buy Now! RTO Pro Corporate Office Subscription $100.00 a month no extra per store. $100.00 Buy Now! Data conversion from most other RTO Software. If you are using another software now and want us to convert the data for you this service is available for most other software. For information on the SMS Texting Service click here. To sign up for the SMS Texting Service, read the Terms of Service and Acceptable Use Policy here, and fill out the form here and fax it to us. The pricing above is per text phone number and outgoing and incoming texts count toward totals. Multiple locations can share a single text number or each location can have their own. All SMS Text accounts are paid monthly in advance and must be set up to be paid automatically monthly by credit card or ACH debit on the last day of each month. Buy Now! $30.00 / Mon for 1st 600 minutes. .05 / min after 600. $30.00 / Mon Buy Now! This is the preferred scanner for Inventory Control purposes. 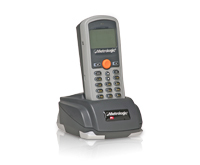 Metrologic Optimus S Barcode Reader / Portable Data Collector USB (Inventory control Scanner) $699.00 Buy Now! 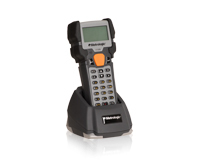 Metrologic Optimus R Barcode Reader / Portable Data Collector USB (Inventory control Scanner) $999.00 Buy Now! 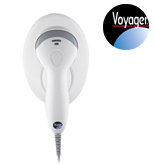 Metrologic Voyager 9520 Scanner (Point of Sale Scanner) $219.00 Buy Now! MMF Cash Drawer (includes cable that hooks to receipt printer) $239.00 Buy Now! Thermal Receipt Paper for Star or Epson Thermal printers case of 50 rolls (3.125"x3" x 230') $85.00 Buy Now! 1 Part Receipt Paper for Epson TM-U200/220 case of 50 rolls(3"x3" x 165') $50.00 Buy Now! 2 Part Receipt Paper for Epson TM-U200/220 case of 50 rolls (3"x3" x 90') $65.00 Buy Now! Printer ribbons for Epson TM-U200/220 Black and Red (minimum order of 10) $5.00 each Buy Now! Printer ribbons for Epson TM-U200/220 Purple (Lasts longer than black & red) (minimum order of 10) $5.00 each Buy Now! Subscriptions include support and upgrades. For customers not on our Support Plan or Subscription, to pay for a Support Incident click here. If you are not on a support plan or a subscription and are interested in purchasing an upgrade call 800-351-6299 for current pricing. If you are a new customer and pay by Echeck or check by phone your order will not ship until the payment has cleared. This normally takes 7 to 10 days. We accept Mastercard, Visa, American Express and "Checks by Phone". All orders are subject to our order / refund policy. Support and Upgrades are included at no extra charge in RTO Pro Subscriptions. Support is available M-F 9:00 AM to 5:30 PM Eastern Time. We have remote access software included with RTO Pro that allows us to connect to your computers, with your authorization, to trouble shoot issues or to walk you through how to use RTO Pro. RTO Pro is very user friendly, however if you wish to have in store setup and training for your personnel the rate is $300.00 per day plus expenses. RTO Pro is so easy to use 1 day of training is usually all that is needed. Online training is available via Livemeeting for $50.00 per hour. The training can be attended by as many employees as you like and the training can last as long as you like (2 hours sessions are common). You can specify what we go over with you during the training.